I designed the Weekenders range of blackwork embroidery kits for stitchers with limited time. Small enough to complete in a weekend, but not necessarily just for beginners, they are the ideal way to increase your blackwork skills. The PayPal buttons below enable you to download the patterns straight to your computer. If you do not get brought back to the site to download the chart after making your payment then please do e-mail me and I will provide the link you need. If you would like to order the complete blackwork embroidery kits (with threads and fabric) you can do so from my manufacturer here. 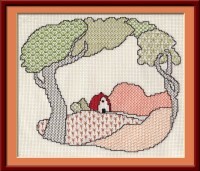 A landscape in the style of Clarice Cliff, worked in coloured blackwork with a little cross stitch for the roof of the cottage. Each blackwork fill is surrounded by an outline and I like to get those outlines in place first then, once the pattern itself is established, I can put my chart to one side and enjoy the rhythm of the stitching. 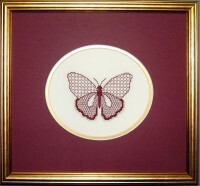 Rich burgundy and gold make this spectacular blackwork butterfly really stand out. 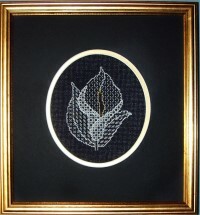 The top wings use a light fill, the bottom a heavier one, and the solid areas are stitched in cross stitch using two strands of floss. Mounted with a burgundy matt and a gold frame to pick up the sparkly thread it is sure to catch the eye when hanging on your wall. 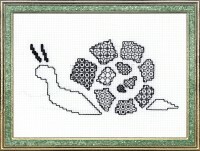 Use many variations of the same blackwork pattern in this design to create a stenciled effect for the snail shell. Extra stitches are added to some sections to make them appear darker. You will be amazed at how many ways you can change a single fill pattern! Can you see the highlights on this tortoise's glossy shell? These are created by not stitching in those areas. 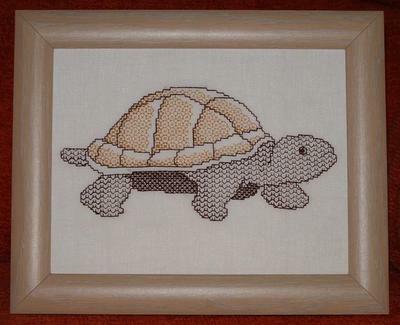 Increasing the number of stitches in the blackwork fill pattern as you reach the shadowed areas, gives depth to this blackwork embroidery kit of a tortoise. His legs and the bottom of the shell are worked in two different fills, giving a nice contrast to the design. 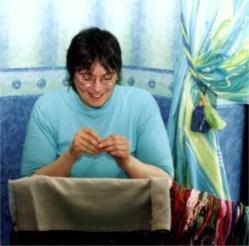 "I bought this to do for my mum, as she had always wanted another tortoise after ours died when I was a young girl. She kept buying pottery ones until her fire place was full of them. Dad commented that she could have bought a real one with all the money she had spent on the pottery ones! I did this for her, because of her love of tortoises and my love of blackwork. It was really quick and easy to do, the chart was very easy to follow, and I managed to keep it a secret from her until she received it for her birthday. 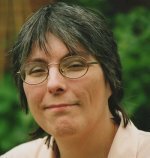 It now has pride of place in her hallway, and she even has two real tortoises now as well." Who says blackwork has to be black on white? The opposite colourway looks really effective in this little calla lily design. The heavier stitching is used in the lighter areas of this blackwork pattern.